Wee Bear loves Jane's Corned Beef and Cabbage. The first time she prepared it for him, I though he was going to propose marriage! Just kidding, but, he really loves corned beef. 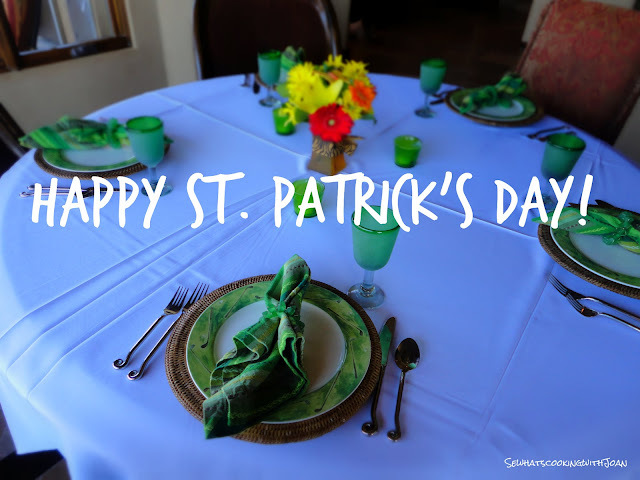 When we moved to Cabo San Lucas, Mexico, he begged me to make him her delicious dish for St. Patrick's Day. So, Jane e-mailed me the recipe and I smuggled a corned beef into Mexico in my Winter coat!! Yes, indeed, I did! 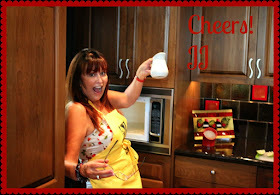 Lot's of fun memories of this recipe! In a slow cooker, place the beef in 7-9 hours ahead of serving time-- in a stock pot on the cook top, place the beef in 5-6 hours ahead covered in water with the spices............and as Wee Bear says, "Cook the s--t out of it!" Set the temperature on low after it reaches a slow boil and allow to cook until the meats internal temperature is 165F. The corned beef will have rendered off all the fat. Take out of the pot and allow to rest covered in foil, while you prepare the vegetables. 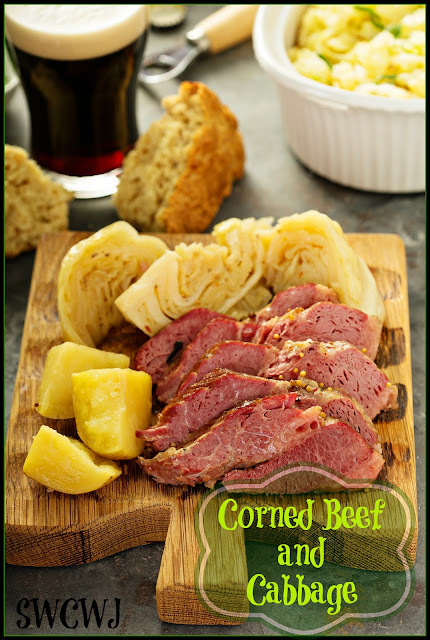 Use the stock from the corned beef to cook the vegetables and add more flavor to them. 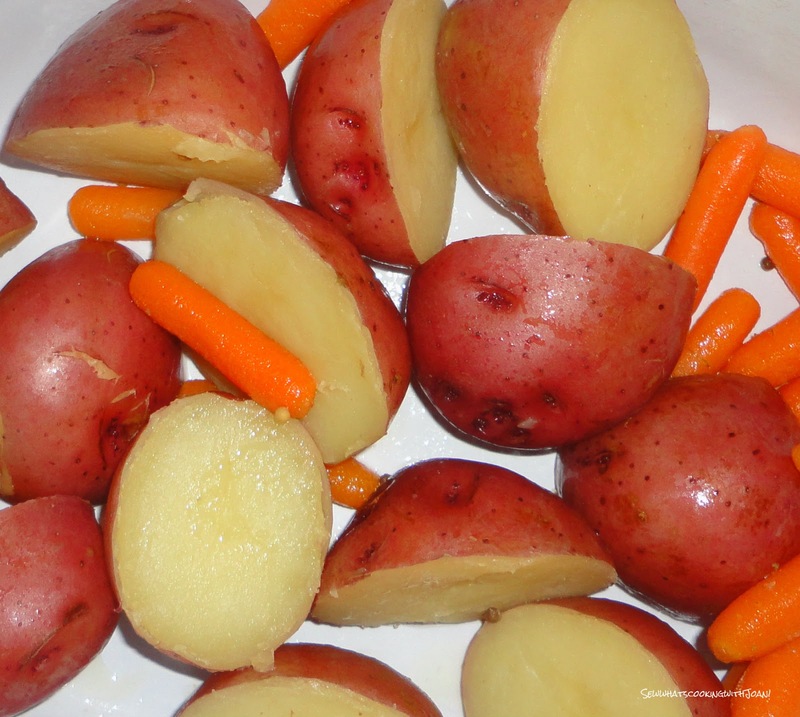 Cook the carrots and potatoes first, watching carefully as to not over cook. Remove with slotted spoon and add the cabbage for about 2 minutes! It doesn't take long! 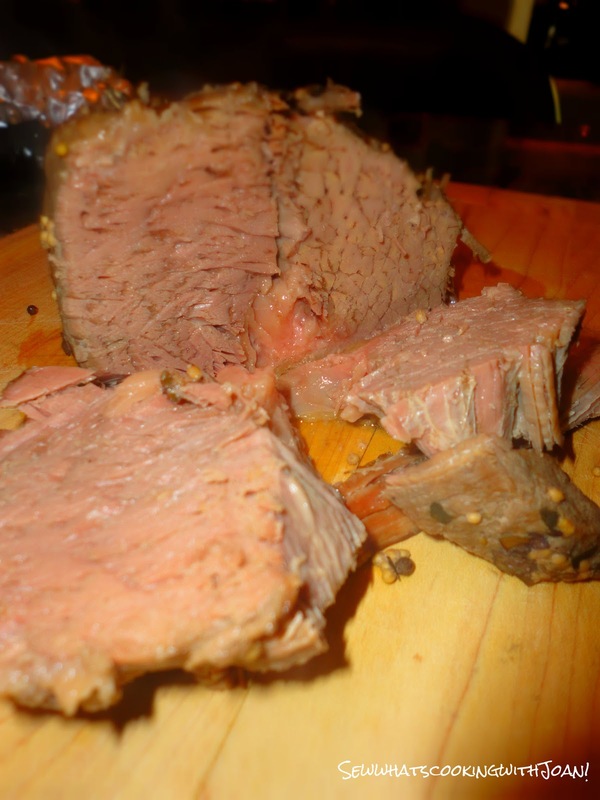 Slice the beef across the grain, serve surrounded by the carrots, potatoes and cabbage. Get out the mustard and horse radish......enjoy! *This is not a wine friendly dish, I suggest a good beer. Great recipe. Glad you and Bandit did step on that snake. PNW is wet, cold and could use some of your warm weather.